Muft (free) WiFi Advertising is the newest way to attract customers and reach out to the right audiences. Cisco predicts that more than 60% of all Internet traffic will be handled via WiFi in the next 4 years. What’s more? WiFi Advertising a billion dollar almost untapped industry. Most Governments welcome any idea that supports public Internet access; unlike selling ‘Internet’, free WiFi marketing requires lesser permissions. All you need is router + an internet connection + Muft WiFi Advertising platform; and you can create your own WiFi ad network. Excellent Brand Recall and Customer Experience – People remember you when you offer them free WiFi! HyperLocation Advertising– is made possible as you can choose the specific zone you want place your ads on. Smart-Social Advertisements – Instead of mindlessly spending money on spammy digital ads; brands like to spend their money on free Internet access to watch their customer loyalty grow. How does Muft WiFi Advertising Platform work? Our WifF advertising platform is used by cafes, gyms, waiting rooms, clinics, salons and so on to power their own advertisements and track users on their WiFi zones. Our WiFi advertising platform is also used by ISPs, agents and ad agencies who want to create their own network of ad-sponsored free WiFi hotspots at different locations including but not restricted to hotels, bus stops, airports and marketplaces. The ad-spaces (and the WiFi zones) are managed with our online WiFi advertising platform. With this online software, you get a detailed (mobile number and access time) log of every user that accesses the WiFi service. Furthermore, you can target your ad campaigns to a specific router. These hyperlocal ads can be your own (native) or can be sold to 3rd party advertisers. 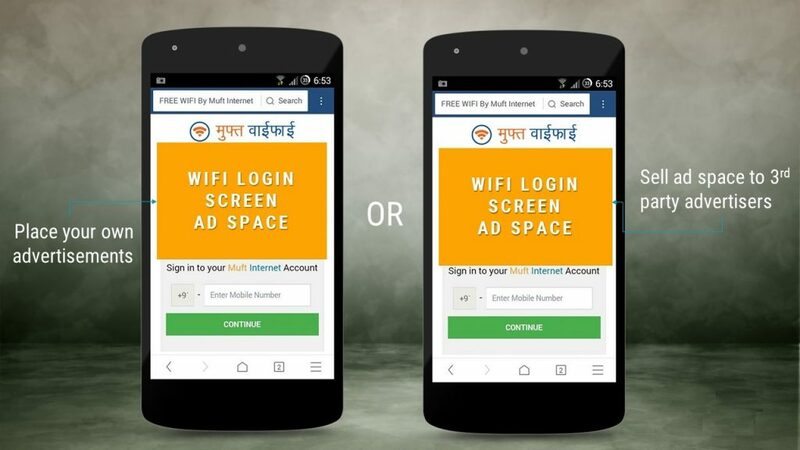 400+ Muft (free) WiFi Zones are powered with Muft WiFi Advertising Platform – This idea is a compilation of our learning from digital (wifi) advertising in rural India with a team of 12 advertising agencies and their FMCG/Banking clients. 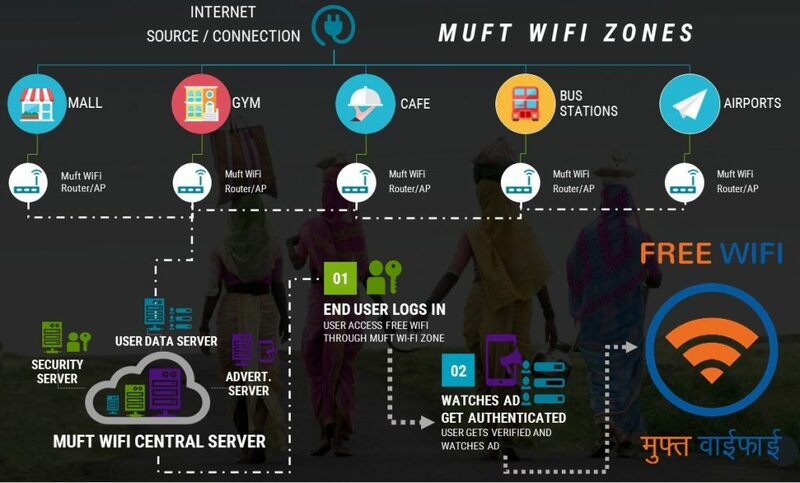 At present, the Muft WiFi advertising platform is used by advertising agencies, FMCGs for rural marketing, 45 Internet service providers and, a community over 1.5 million people across (12 states in) India, Botwana and Kenya who have spent 20 million hours at different ad-sponsored Muft WiFi Zones. The technologies and our networks now makes it possible for us to start a rural wifi ad campaign at ANY location in India within 3 days. Want us to partner with us to use our WiFi Advertising Platform? Want to create your own WiFi-ad network? Contact us via our contact form with your name and intent of use.